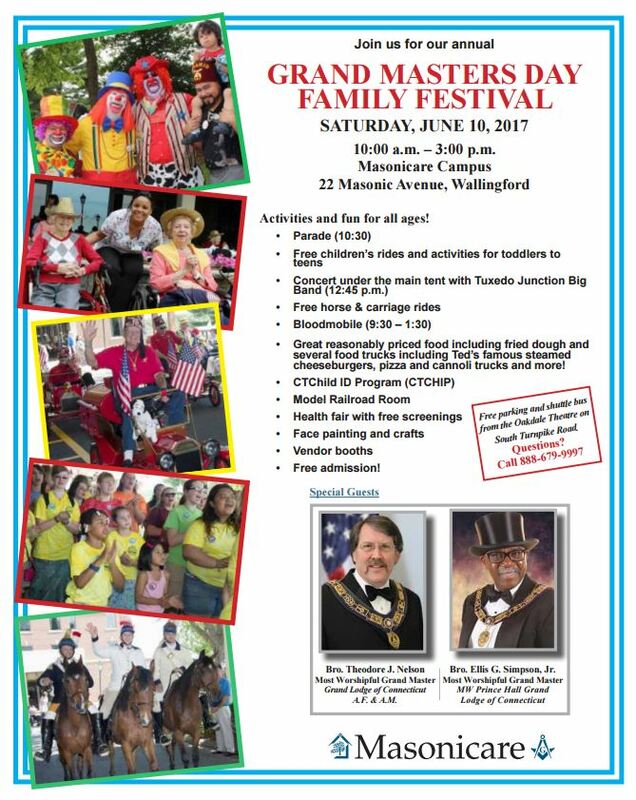 GRAND MASTERS DAY FAMILY FESTIVAL 2017 – The Grand Lodge of Connecticut A.F. & A.M.
Bro. Theodore J. Nelson – Most Worshipful Grand Master, Grand Lodge of Connecticut A.F. & A.M.
Activities and fun for all ages! • Great reasonably priced food including fried dough and several food trucks including Ted’s famous steamed cheeseburgers, pizza and cannoli trucks and more!